Do you want to hit the gym? If you don't know where to start, need some guidance or are interested in a fitness class, Motivations Fitness Center in Glens Falls will help you out! Read the following interview and find out what they offer. 1. I see that you are located on Glen Street in Glens Falls, are you the only fitness center downtown? No, there are a few others but none that are as upscale as we are and provide all that we do. We truly care about the success of each member. 2. Do you have free weights or just machines and ellipticals? We have everything. We are not an open gym - we offer personal training in a small group setting, or 1 on 1 as well as aerobic classes, electro-impedance body composition testing, and tanning. 3. Are there personal trainers at the gym? Yes, we are all personal trainers with nationally accredited certifications. We offer various types of memberships. The most common are a monthly twice a week personal training membership for$100.00 or three times per week for $125.00. An unlimited aerobic membership is $75.00\month. 5. Do you have classes? Yoga, or Zumba? Yes, we offer many types of aerobic classes including indoor group cycling, outdoor bootcamp in the park, Zumba, step and even a once a week morning stretch class. Additionally we have constantly changing workout routines, that we modify or step up accordingly to meet the needs and goals of each member. 6. How big is the gym? Does it get crowded? We have two floors with plenty of space. Upstairs we have our personal training and weight training equipment, along with a bamboo floor for Zumba and aerobic classes. Downstairs we have an indoor group cycling room, tanning, and two showers. Both floors have restroom facilities. This time of the year it starts to get busier, and although some class times are busier than others, we make sure to limit class size. 7. What kind of amenities does Motivations have? Our gym is an immaculate, completely renovated, state-of-the-art facility. Some amenities include a tanning hut and two showers with full vanities. 8. Do you have tanning beds/booths? How much does that cost? Yes, we have a high-powered stand up tanning unit that even the darkest of tanners would never need to use for more than 10 minutes. Members pay $5.00 per visit and non-members pay $10.00 per visit. We also offer various money-saving tanning packages. 9. Do you have a "lunk alarm" like Planet Fitness? No, of course not! 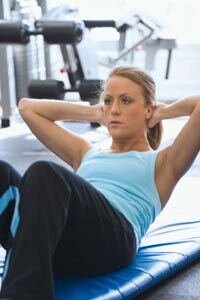 We offer fitness for any level women and men of all abilities, ages 12-99. 10. Are there any special rates/programs that you offer? Yes. We offer a 10% discount for seniors and students. We also offer 10% off a 3-month membership and 20% off for an annual membership. Our customer's also get a free trial class of their choice. 11. What time of the day are you busiest? What time of year? Lately, we tend to be busiest first thing in the morning (we open at 5:30am) and later in the evening. Of course, being in the fitness industry our busiest time of year is the spring and right after the New Year begins. 12. What makes Motivations better than other gyms? The fact that we consider our customers' success to be our own success! Our state-of -the-art facility is immaculate, and the various programs, education, and cutting edge classes that we offer, taught by the nationally accredited trainers make Motivations a great place to exercise. Also, the electro-impedance body composition testing that we offer is the most accurate way of measuring body composition next to hydro-static weighing. Nutritional support and counseling are also offered at Motivations. There are no hidden or sign up fees and no manditory long term contracts at our gym.